At LoanNow, we’re on a mission to ignite your financial success. During the course of your loan you’ll be able to unlock LoanNow achievements that build your LoanNow Score. The LoanNow Score is an internally generated score unrelated to the consumer credit score generated by traditional credit bureaus. LoanNow is not a credit repair service and obtaining a loan with LoanNow does not guarantee that your credit score will improve.  As you build your LoanNow credit score, you could earn payment credits towards your loan! Your achievements start with your first loan. Complete the 5-minute online application and get approved today. Loan approvals are subject to underwriting criteria, which may very from state to state. The approval process may take longer if required items are not able to be verified online or additional items are requested. Get your money even faster by connecting your bank account. By doing so we can easily verify your job status and income - instantly. Verification is subject to one's banking online availability and underwriting may request additional inforamtion prior to final approval. Earn achievements for on-time payments. We make it easy with auto payments from your account. Earn a boost to your score when you payoff your loan. Get your friends and family to vouch for you and you will earn credits toward your loan. We're always working on new ways to help you succeed. Stay tuned for more achievements coming your way! 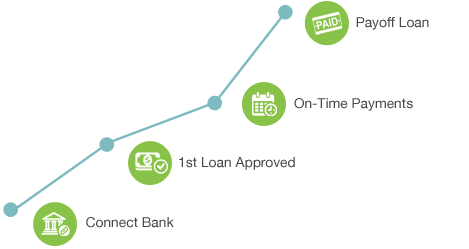 LoanNow is dedicated to helping our borrowers build their LoanNow credit score – not trap them in an endless spiral of debt. Together, we’ll work to ignite your financial success and launch you further towards financial independence!